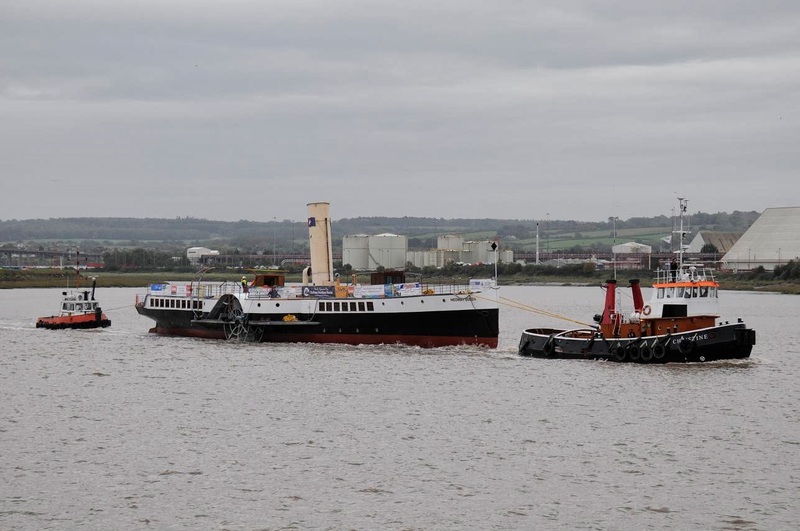 I was absolutely delighted to receive an email from Alan and Jean Barrett of Walton following on from my piece about the restoration of the old paddle steamer, the Medway Queen, in last week’s Herald and News. The old girl is on her way back to the Medway from her restoration rebuild at the Albion Docks in Bristol and I was saying how pleased I was that this venerable lady – one of the heroines of the Dunkirk evacuation in 1940 – had been saved from the breakers yard or a lonely end rusting away quietly on the river’s edge. Jean and Alan wrote: “Although we have lived in Walton for nearly 50 years, we spent our earlier years in the Medway towns. “The Medway Queen was a regular day out for us and we have many fond memories of our trips to Southend and Clacton. “One particular trip, on an evening works outing, was to travel to Southend and back without stopping. It was an interesting trip as a fierce thunderstorm was with us most of the way. We stood on the deck watching the lightening striking the water all around us, ignorantly assuming we were perfectly safe being on a boat! But even when the Queen was no longer providing trips around the Thames estuary, the Barretts still kept an eye on her. Their note continues: “In later years, we did see the ship on the Isle of Wight in a sorry state of repair, and later still, at Chatham. “Let us hope that we will be able to take another nostalgic trip when the Friends get her in commission again. Thanks so much for sharing your memories, Alan and Jean and I’ll raise a glass to the idea of going for a sail on the Medway Queen when she’s back in commission. Perhaps we should get together a party from this area and head off down to Chatham! MY BROTHER and I went down to the boatyard on Sunday morning to take a look at Terra Nova and to do some winterproofing before the weather gets too bad. The old girl is looking a bit sorry for herself at the moment because one of the wheels has come off her trailer and she’s listing somewhat to port with parts of her trailer being held up by axle stands. It rather looks as though the wheel bearing has collapsed and will need completely replacing and Alan and I are both putting off having to do the work because it will mean lying on the soaking wet ground getting filthy dirty and frozen into the bargain but I suppose we’ll have to bite the bullet soon and just get on with it. HAVE you got a river-related story you’d like to share? If so, email me at mort.smith [at] trinitymirror.com.